Since I had willingly allowed my MobileMe subscription to expire, I no longer had access to Apple’s Back to My Mac service for accessing my home Mac remotely. Although the feature was definitely useful + headache free to setup and use, I couldn’t justify the $99 annual renewal for the entire MobileMe package. I wanted to document the process here for Mac OS X 10.5+ users with along with some helpful screenshots for curious minds. First, enable Screen Sharing on your Mac. Open System Preferences > Sharing and tick the ‘Screen Sharing’ option. In the screenshot above I’ve added the password requirement for controlling the screen (Computer Settings…). In order to access your home computer remotely, you’ll need to forward the necessary ports appropriately. To do this, log into your Airport Extreme. Select Manual Setup. Inside the Advanced tab, select the Advanced tab then Port Mapping. Inside of this dialog, select the small ‘+’ (plus) button. 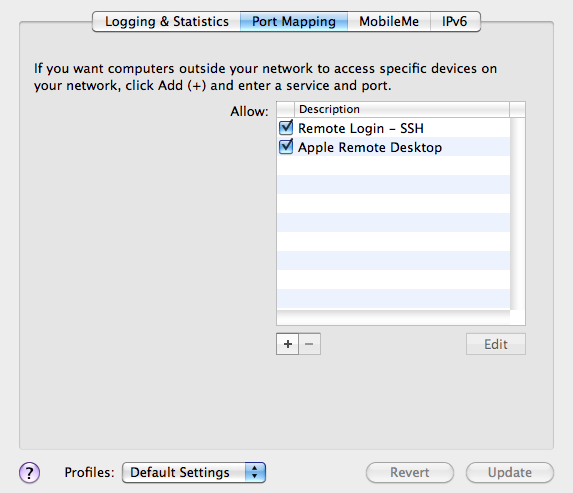 The port mapping setup assistant will slide into view. Select Remote Login – SSH & Apple Remote Desktop. Each selection will automatically fill the correct ports. Select Continue after specifying each service. You Port Mapping window should now look like the image above. 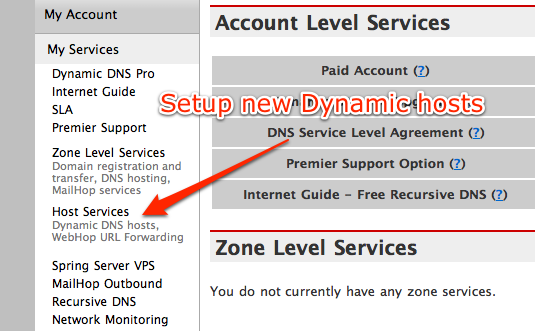 Ensure that both checkboxes are checked then proceed to update the new settings to your router. 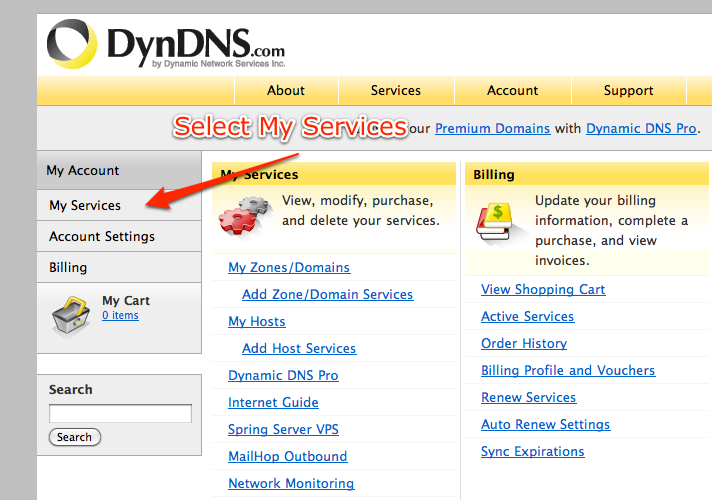 To keep the entire process of accessing your computer remotely easy, setup a free account at DynDNS (create account). Once the account has been properly setup, return to the main dashboard and look for My Services. What you want to setup is a new Host Service > Dynamic DNS Hosts. Select Add New Host on the following screen. DynDNS will request some basic info related to your home Mac. The first field – Hostname – will be your "memorable" URL to access your computer remotely from outside of your home network (select from alternate domains using the dropdown). 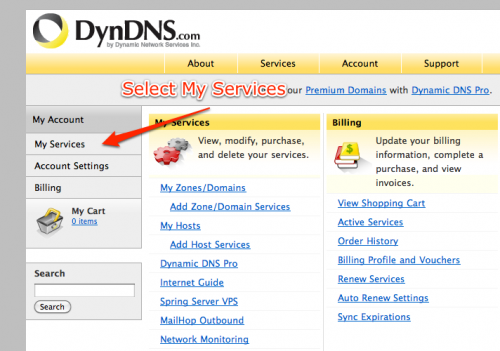 Select Service Type: Host with IP address. 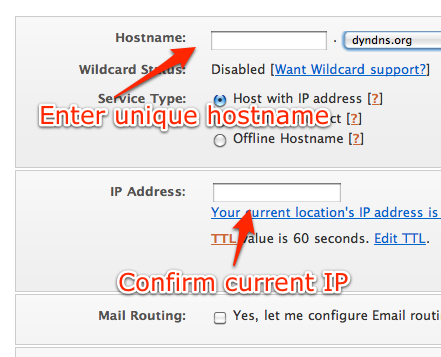 DynDNS can automatically fill-in your location IP address (click on the link). The rest of the settings can be ignored. Chances are your location IP will change every so often (without you knowledge). 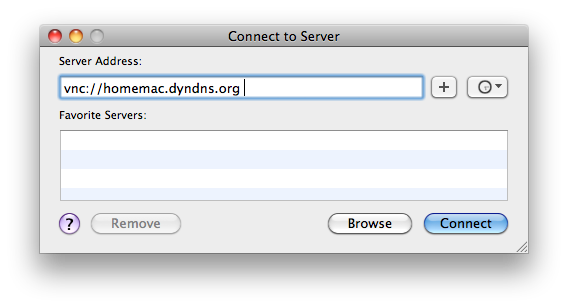 Unless you’re paying your service provider for a static IP, you’ll want to install the DynDNS Updater (free). This handy daemon runs in the background and updates DynDNS with your current IP. Now that VNC is enabled on the home Mac, the appropriate ports forwarded and DynDNS setup, it’s time to connect remotely. The first option is to use a VNC client like Chicken of the VNC. The alternative (my preference) is to use the built-in VNC client provided by Apple as of 10.5 Leopard – the same client use for Back to my Mac. To access the client, go to Finder > Go > Connect to Server or CMD +K. Upon successfully connecting, you will be prompted to enter the previously setup credentials to control your remote Mac. The beauty of Apple’s integrated VNC client is the fact that larger remote screens are automatically resized to fit. For MacBook / MacBook Pro users, the iMac or Apple Cinema display at home will be resized to fit (with the option to view at full resolution). Do you use VNC? What method to you use to manage / control your computer at home? Older: Apple iPad, Underwhelmed? Will you buy one?